Roland G. Smith, a resident of Burlington, CT, served in the 12th Connecticut Regiment during the Civil War. 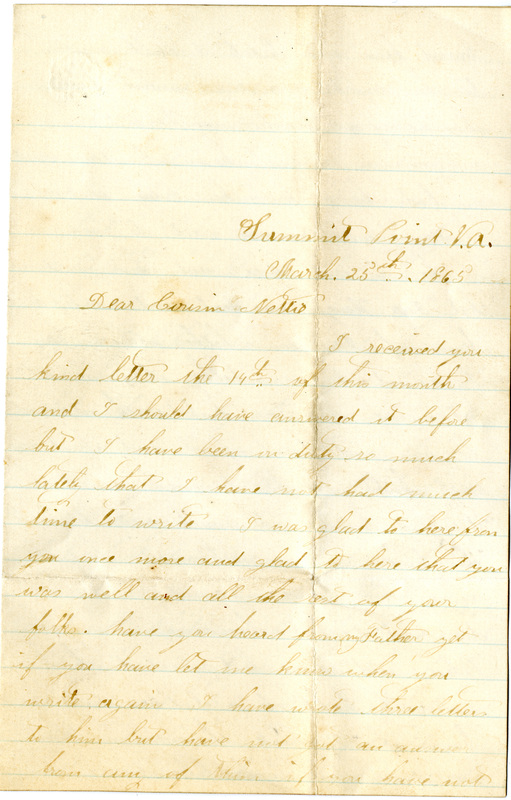 Over the course of the spring of 1865, Roland wrote several letters to his cousin Nettie from Savannah, Georgia and Summit Point, Virginia. Smith mentions the impact of Lincoln's death on the camp and general public. Use of this item for research, teaching and private study is permitted with proper citation and attribution to the Connecticut Historical Society. Reproduction of this item for publication, broadcast or commercial use requires permission. For permission, please contact the Connecticut Historical Society. chs.org/research/digital-reproductions.